Dr. Benjamin Stong of Kalos Facial Plastic Surgery, LLC in Atlanta, Georgia has been named a 2019 "Top Doctor" by Castle Connolly. Dr. Stong has earned this coveted award for the last five years for his unrivaled expertise in Otolaryngology as a nationally-recognized and dual-board certified facial plastic surgeon. The Castle Connolly Top Doctor Award is an achievement I strongly value each year. I will continue my passionate pursuit for excellence in facial plastic surgery, as it is a field that is highly rewarding for both my patients and myself, says Dr. Benjamin Stong of Kalos Facial Plastic Surgery, LLC. For the fifth year in a row, Dr. Benjamin Stong of Kalos Facial Plastic Surgery, LLC in Atlanta has received the "Top Doctor" award for 2019 by Castle Connolly Medical Ltd. Each year, Castle Connolly awards the industry’s "Top Doctors” in select specialties and geographical regions. Doctors are selected after a rigorous process that includes both peer nomination and extensive review by a physician-led research team. Castle Connolly states that Dr. Stong stands out as an elite physician in his field and has thus garnered one of the Castle Connolly “Top Doctor” nominations for the Atlanta region. Dr. Stong underwent extensive review for his medical training, board certifications, achievements, and other valued credentials. Nearly 100,000 nominees nationwide compete for the Castle Connolly “Top Doctor” recognition each year. Castle Connolly Medial Ltd. represents one of the country’s most reliable sources for finding the best local physician specialists. Dr. Stong’s accomplishment as an Atlanta Castle Connolly “Top Doctor” allows his facial plastic surgery services to be featured across several local and national media outlets and publications, including America's Top Doctors® book, trusted online directories and several popular web sites and magazines, including Radar Online, Life & Style Weekly, Zwivel, and Celebuzz! Locally he has been featured in The Atlanta Business Chronicle, The Atlanta Jewish Times, WSB-TV and KISS 104.1. Dr. Stong of Kalos Facial Plastic Surgery is dual board certified in Otolaryngology Head and Neck Surgery and Facial Plastic and Reconstructive Surgery by the American Board of Otolaryngology and the American Board of Facial Plastic and Reconstructive Surgery (ABFPRS). These are elite credentials that foster Dr. Stong’s premium level of specialization, education and certification in his field. For the fifth year, Castle Connolly has recognized his superior education as well as his renowned success in cosmetic and reconstructive procedures for the face. Dr. Stong’s most sought-after services include advanced facelifts, rhinoplasty, eyelid surgery, hair transplantation and more. Beyond his ability to provide natural-looking results using the most minimally invasive techniques in plastic surgery, Dr. Stong also offers a full menu of non-surgical facial rejuvenation services at The K Spa. “The Castle Connolly Top Doctor Award is an achievement I strongly value each year. I will continue my passionate pursuit for excellence in facial plastic surgery, as it is a field that is highly rewarding for both my patients and myself,” says Dr. Benjamin Stong of Kalos Facial Plastic Surgery, LLC. 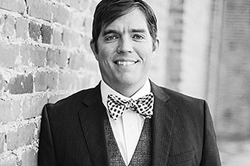 Owner and facial plastic surgeon, Dr. Benjamin Stong is dual board certified in Head and Neck Surgery and Facial Plastic and Reconstructive Surgery. He completed his fellowship under one of the most nationally renowned plastic surgeons, Dr. Andrew Jacono in New York. He has combined such an elite level of training with his own proven experience and talent to bring patients of Atlanta outstanding results in plastic surgery. Kalos Facial Plastic and Reconstructive Surgery specializes in providing the most advanced techniques in facial plastic surgery and other cosmetic services. If you would like to get more information about the services offered by Kalos Facial Plastic Surgery, LLC, please call their Atlanta office at (404) 963-6665 or visit their website at http://www.kalos-plasticsurgery.com.